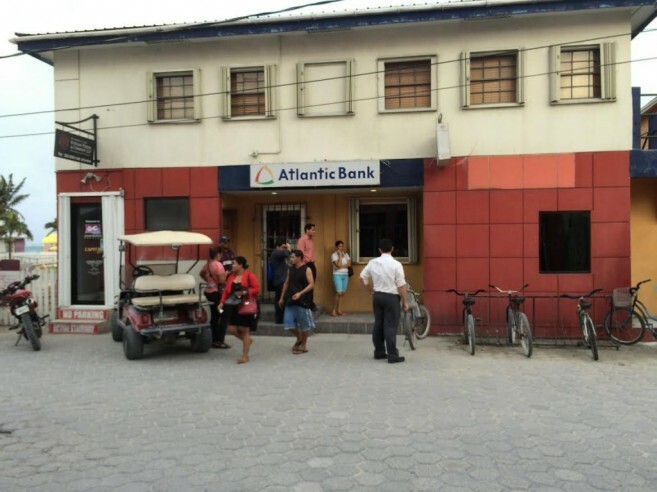 Recent concerns from residents in San Pedro Town, has revived the question regarding the possibility of another Automated Teller Machine (ATM) for the local branch of Atlantic Bank. Over the years, while the population has increased by the thousands, the bank continues operating with just one external ATM. This has caused several inconveniences, as customers have to wait in long lines only to find out there is no cash left by the time they reach. In an effort to address the issue, Atlantic Bank has some good news to share. The bank’s management admits that operating with just one ATM is uncomfortable for their customers, thus, the installation of a second external ATM machine is imperative. Branch Manager Karen Lopez commented that a second ATM will be installed, but they do not have a specific date when it will happen. “There is no clear decision as yet where the second ATM will be installed, but what we can say for now is that another ATM will be installed to alleviate the situation,” said Lopez. Even though there are additional machines inside the banks, the introduction of another external ATM will target the customers who do not have access to the bank until late evening, and visitors alike. Lopez spoke about a machine which has been installed at the Caye Value shopping centre near the Boca de Rio Area. 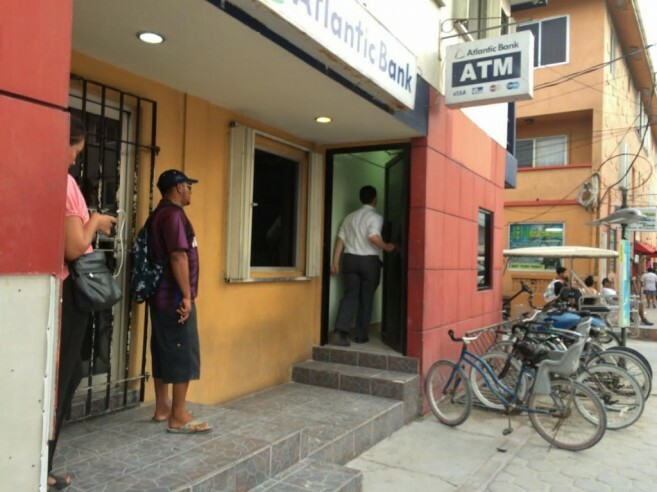 According to her, persons living near this area can access their money at this machine known as ‘Atlas Express.’ “Instead of going all the way to the ATM in downtown, they can go there and get cash,” said Lopez. “Another thing we are trying to encourage is for people to start using their cards when purchasing. Many of the stores in town accept their cards.” She emphasized that the idea of having their customers use their cards more often, is to avoid them from going around with too much cash which may lead to insecurity. However, they are asking their customer to bear with them and be a little bit more patient as they make the final arrangements for the installation of a second ATM on the island. Moreover, Lopez took the opportunity to address another issue raised by their customers regarding the collection of their salaries. A few residents complained that whenever their salary has been deposited, it takes some time before it is processed. Lopez indicated that those delays have nothing to do with their banking system, but the source where payments are coming from. “Everything the bank does online, is on real time. For example is someone comes in and cashes a cheque, it can be verified right away,” said Lopez. In the meantime, Atlantic Bank is also encouraging their customers to visit any of their locations on the island and registered for their ‘Go Mobile Service.’ This service allows customers to transfer funds from one account to another without having to visit the bank. As well, Lopez indicated that all bills can be paid through the use of this mobile service.